The draws for “YONEX-SUNRISE Hong Kong Open 2018” were announced on Tuesday. Lee Chun Hei and Chau Hoi Wah’s first round match will be the focus of Hong Kong Team. The pair captured a bronze medal in both Asian Championships and World Championships 2017; and had once reached top 6 in the world ranking. Although their ranking has dropped to 24th, they are still supported by lots of local fans. Lee and Chau will meet World No.2 Wang Yilyu/Huang Dongping of China in the first round. The Chinese pair has won a gold in Asian Championships, a silver in World Championships and a bronze in Asian Games this year. There is no doubt that this will be a tough match for the Hong Kong pair. Hopefully their great chemistry and connection after 7 years partnership will be help them to win the match at home. 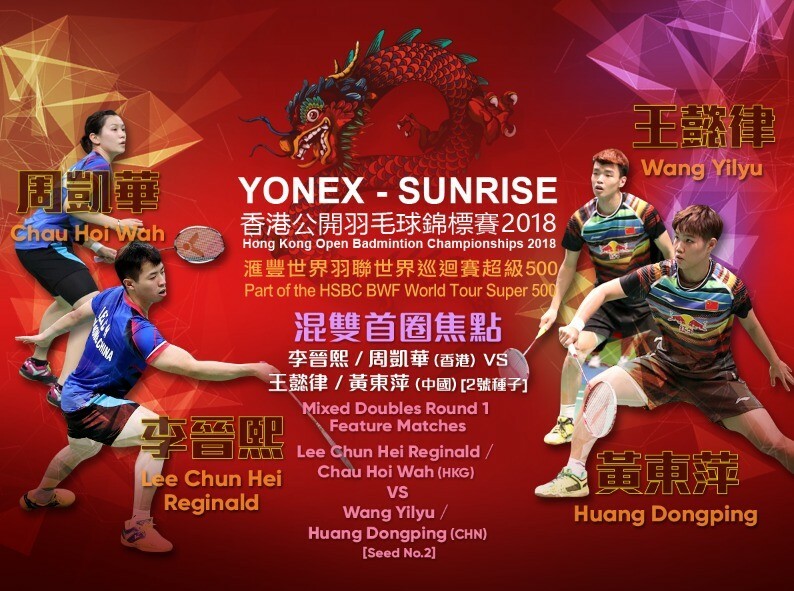 “YONEX-SUNRISE Hong Kong Open 2018” will be held from 13th to 18th November at Hong Kong Coliseum. Some price categories of the event day tickets have been sold out. Get your tickets as soon as possible!